In June 2001, Rahna Reiko Rizzuto went to Hiroshima in search of a deeper understanding of her war-torn heritage. She planned to spend six months there, interviewing the few remaining survivors of the atomic bomb. A mother of two young boys, she was encouraged to go by her husband, who quickly became disenchanted by her absence. Separated from family and country while the world seems to fall apart, Rizzuto’s marriage begins to crumble as she wrestles with her ambivalence about being a wife and mother. Woven into the story of her own awakening are the stories of Hiroshima in the survivors’ own words. The parallel narratives explore the role of memory in our lives, and show how memory is not history but a story we tell ourselves to explain who we are. Two sets of reading guides from the Feminist Press. Contact them for exam copies and get books in bulk for your book club with free shipping. 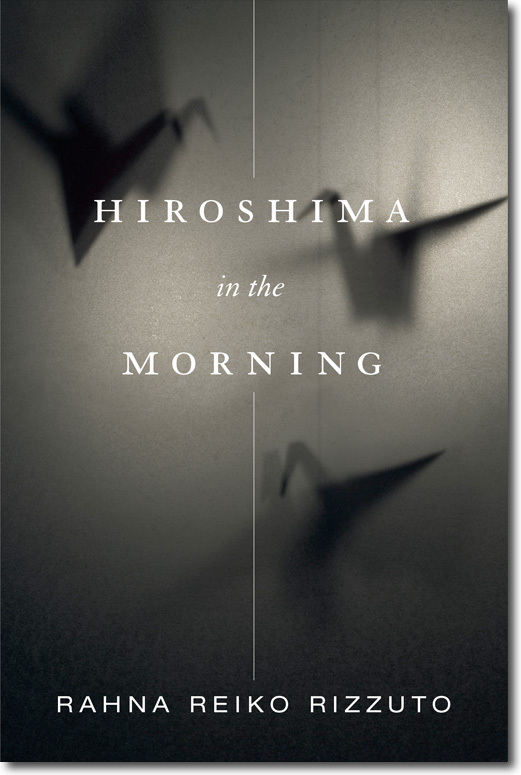 If your book club is reading Hiroshima in the Morning, let me know! I am happy to talk to you via Skype or in person if you are near me. Or send me five questions, and I will answer them. Here is the book club info. Here is the teachers’ guide.